My son and I have been raiding the recycling bin to collect materials for robots! 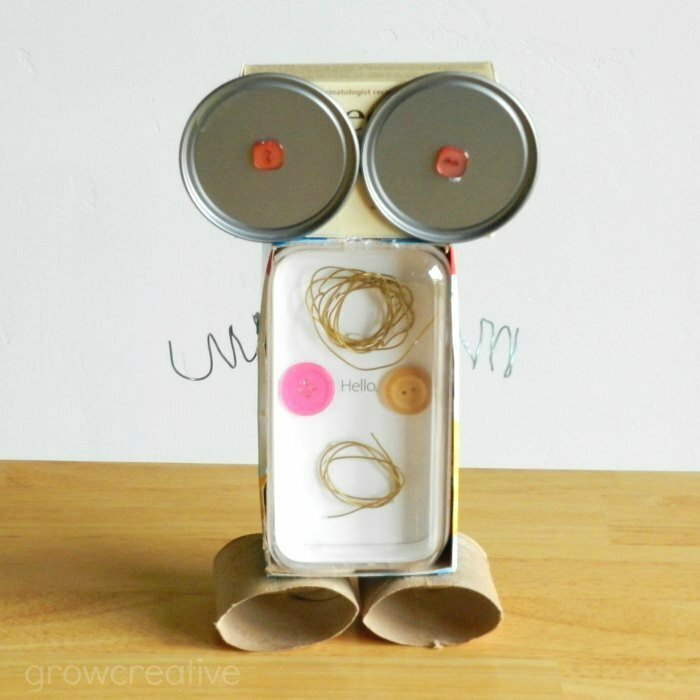 This is such an easy and fun project that provides endless ways to use your imagination. 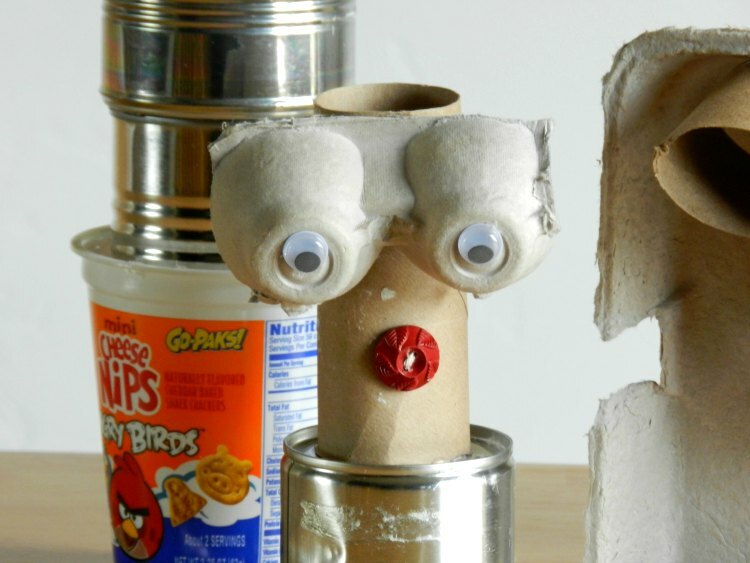 Just grab a glue gun and some recyclable materials and go! 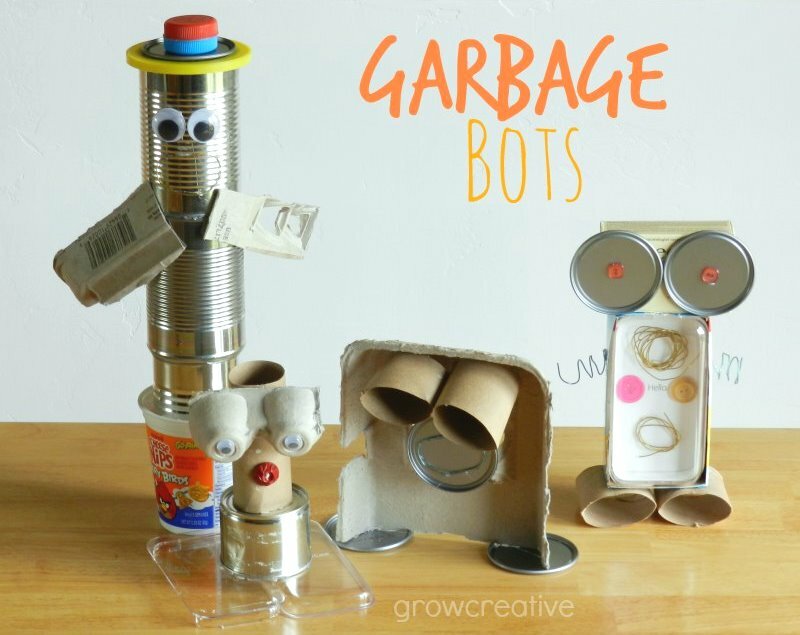 I won't give a step-by-step here, because it's really up to you and the kiddos to figure out how to make each robot, but I will give you a list of some good materials to use! plastic containers- from yogurt, sour cream, etc. I love 'em. I have a box of 'junque' in my basement for just that purpose. Thanks for sharing this great idea. I am adding this to my bag of Nanny tricks! Next weekend sees another nanny and myself with 12! children, 5 yrs and up. This project is comin' along! 12 kids wow! I hope this project helps keep them busy! Spencer and I both love these! Too bad our recycling just got picked up this morning so we have no supplies. It would be fun to do with the kids I'm watching this afternoon. What a fun idea!! I bet my boys would love making them.